Unless you have a passion for skunks, grub control is a vital part of appropriate lawn care. Consider it a sort of insurance policy for lawn protection. Homeowners generally don’t know they have a grub problem until their grass looks unhealthy or like it’s dying. Grubs eat grass roots, destroying the beautiful lawn you’ve worked so hard to maintain. Once you have a grub problem, you also have a skunk problem, because skunks, raccoons, and moles will tear up your lawn to get to them. We’ve seen yards nearly destroyed by skunks ravaging through yards and beds. A grub control application is a wise investment, and it’s far less expensive than redoing your entire lawn. Our grub treatment program is safe for the environment, and safe around your children and pets. We will take the same care with your lawn as we would our own. Call now to set up a grub treatment. You’ll soon learn why this is one of our most popular services, and why we have enjoyed building lawn lasting relationships with customers for a quarter of a century. Another telltale sign of a grub infestation is the consistent appearance of larger critters on your property. 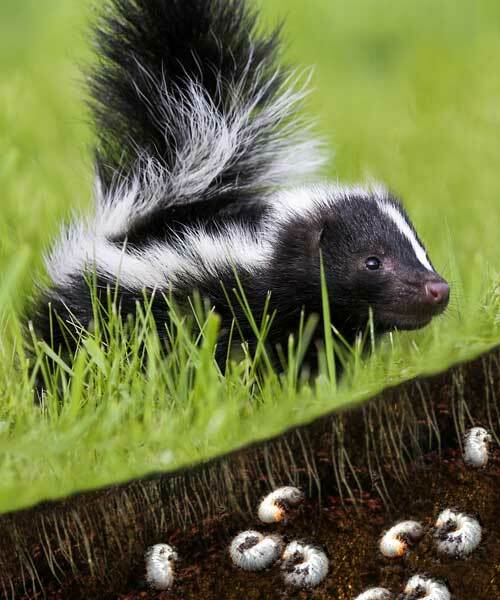 Put simply: grass-eating grubs are on the bottom of the food chain and can quickly attract swarms of skunks, raccoons, moles, birds and other animals that will further destroy your property in search of their next meal. Don’t let grubs and grub-eating vermin destroy the beautiful Ohio lawn you’ve worked so hard to maintain. Partner with Rankin Lawn Care for innovative, effective grub prevention services that eliminate these worms and protect your property. 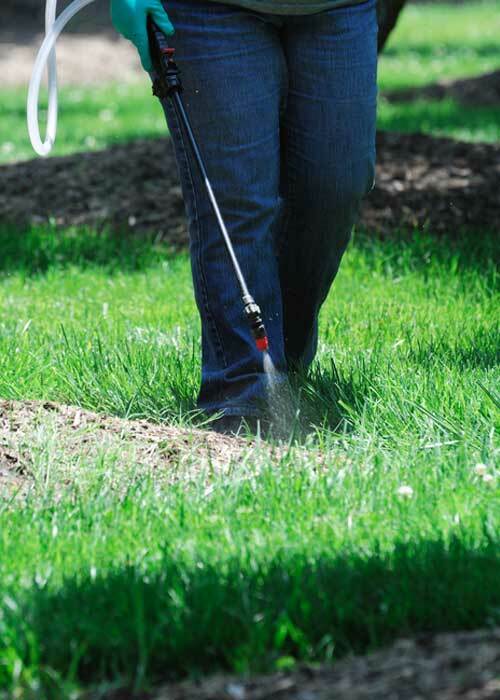 Rankin Lawn Care delivers grub control solutions designed to meet the specific needs of your lawn as well as address the severity of your current infestation. Like all of our lawn and turf care services, the process begins with a thorough onsite evaluation to identify the extent of your grub problem. The Rankin team will assess various zones throughout your lawn, gardens, and beds to identify grub hotspots as well as determine existing property damage to create a customized approach that maximizes success. Once we know what we’re up against, Rankin Lawn Care arrives ready to deliver results. Our skilled and trained technicians thoroughly spray your Ohio lawn using a specially formulated grub treatment product. Worried about using a pesticide on your home or business lawn? We get it; that’s why Rankin uses a grub treatment program that is safe for the environment as well as safe around your children and pets. 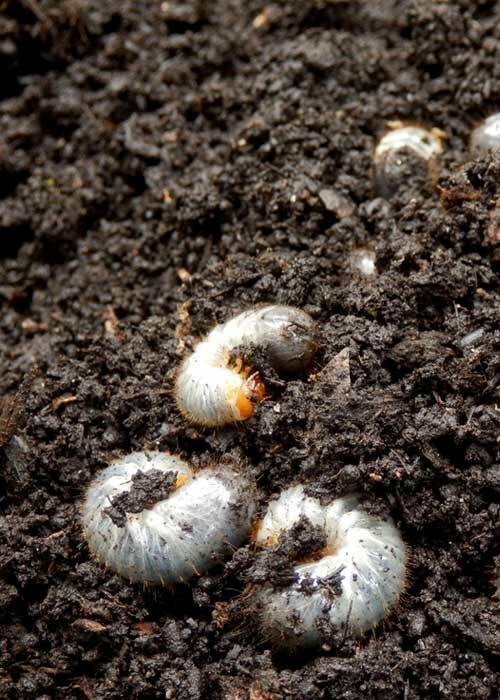 Finally, after we’ve eliminated the grub issue, Rankin will partner with you to develop a lawn care treatment solution that reverses the damage and destruction caused by these hungry larvae. As a leading provider of lawn and turf care in Ohio, Rankin offers a full menu of services, strategies, and solutions to restore your grass and landscape back to its former glory. At Rankin, we take care of our customers’ lawns as if they were our own. For us, the ultimate goal is establishing a professional partnership with our clients based on integrity, honesty, and trust. Contact us today to hear more about our grub treatment services and experience the Rankin difference for yourself.